Bury Me with My Pearls is a real-life, roller-coaster ride of laughter, tears, and stomach-churning truths by a professional speaker, humorist, and singer who, as Miss South Carolina, represented her state in the Miss America pageant and has been singing, speaking, and writing ever since. Incorporating the analogy of pearls, this book uses humor and spiritual principles to bravely address difficult issues many in her audiences encounter within changing roles, self-actualization, and families. Bury Me with My Pearls addresses the importance of how to guard the countless gifts given by our Lord and that doing the right thing is the right thing, regardless of our feelings or circumstances. It is about trusting God in all things and how he can turn our irritants into to pearls. Bury Me with My Pearls encourages us to develop our pearls, protect our jewels, carefully wear them next to our hearts, and share with others. All of this with a good splash of humor. Explore how to walk in love while pruning the family tree in an environment filled with difficult people and how God's power is released when learning to trust Him, to embrace the lessons being taught, and to grow spiritually no matter how painful. Like the process of the pearl, so many women need to find and embrace their buried treasures. As a Southern Humorist, Jane combines humor, original Southern stories, and her award-winning singing (you may hear a parody or two) with life lessons. Combining her talents audiences “laugh at” while learning “how to” handle difficulties at home and in the workplace. Jane is a Certified Professional Speaking (CSP), professional singer, recording artist and published author. Jane’s award-winning singing and humor is featured on Sirius XM Radio and Pandora. She criss‐crosses the country sharing her “down‐home principles delivered with uptown humor”. Jane has also spoken in New Zealand and Germany and is fluent in four languages: English, Southern, Northern and Gullah (gul‐la). 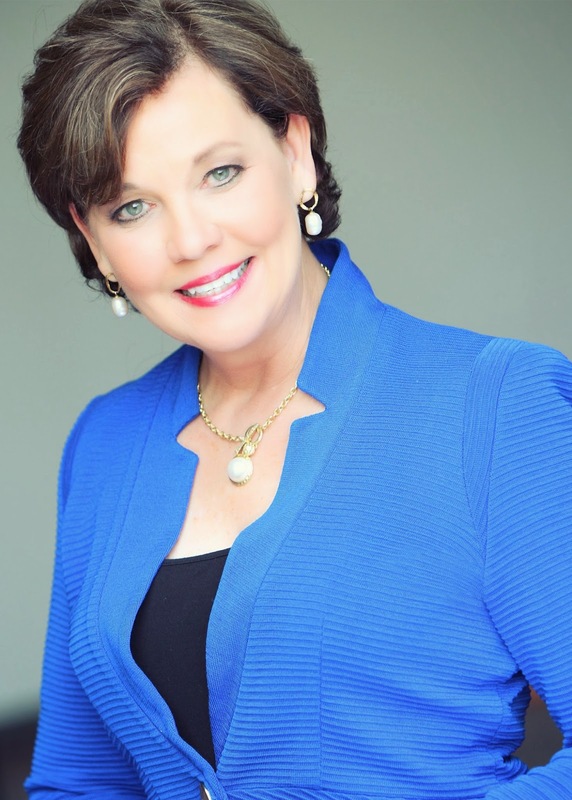 Jane is active in her church and community and serves on an the Parent Board at Clemson University, Commissioner at Piedmont Technical College of South Carolina, Chair of the National Speakers Association Scholarship Committee and serves on the Foundation Board of the National Speakers Association. However, Jane’s proudest accomplishments are being a wife and mother. Jane and her family live on the family peach farm in Edgefield County, South Carolina. 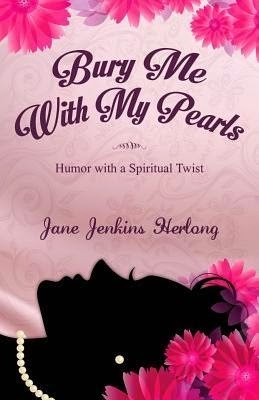 Jane Jenkins Herlong is a bona fide pearl to add to your strand of inspiration. Very much like Melanie Shankle and Mandy Hale, Herlong brings humor and wit to the scene, even in the most desperate situations. If you're in need of a little perspective, then this book is for you. The book opens up with Herlong's "Mothers of Pearl" where the reader is introduced to the ones who inspired the author throughout her life, planting seeds that grew into [spiritual] fruit that determined several situations in her life. It doesn't take long to get to know Herlong in Bury Me With My Pearls. She is very open, candid, and has no fear of becoming acquainted with her reader. She takes us through several situations throughout her book of stories about not just her, but of people in her life that added to her strand of pearls. Each story is unique, and comes with its own set of problems and out-of-ordinary solutions that will have you laughing and crying along with them. You will take quite the joy ride through this book, and hopefully you will be left encouraged and inspired as well. The format of the book is easy to read and easily organized to fit a busy schedule. Each segment is broken up into chapters and subchapters that are short and sweet, but rich in impact. There are only 8 chapters in this book. You will also find plenty of resources in the back to hook you up with more of Herlong's ministry. The only thing that was missing from my galley was an author bio. It's possible that it's included in the hard copy of the book, but I didn't have access to it at the time. However, I wanted to learn more about the author and was unable to. Definitely, if you need a laugh, some encouragement, and a dose of inspiration (so basically, if you are a breathing human being with a soul), then you need to pick up this book. You won't regret it!